Back in October, I happened to be in the San Francisco area for my engagement party. Anytime I'm in a different area, I like to take every opportunity I can to look for new and different chocolates. On this occasion, we happened to swing by Kara's Cupcakes for a quick treat before heading back to Los Angeles. In the same shopping plaza as Kara's, there was a Sur le Table. If you've been in a Sur le Table before, you know it's a store full of awesome cookware and products. I like to go in because they usually have a great selection of quality chocolate. This time, however, I found a hot chocolate I'd never heard of before. 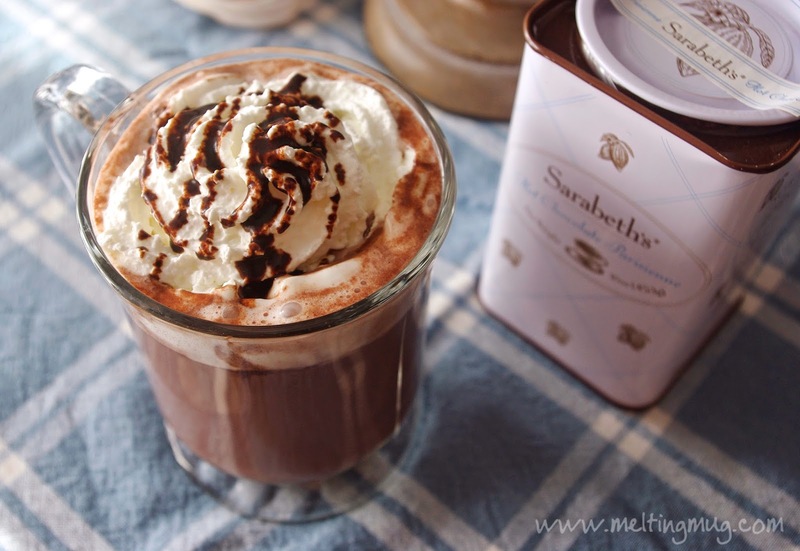 Sarabeth's Hot Chocolate Parisienne. Sarabeth's has at least five restaurants and a bakery in New York, plus a few other restaurants in places like Key West and Tokyo. Apparently they got their start making jams. It turns out they can certainly make a fine hot chocolate, as well! On the label, she talks about what inspired the recipe. 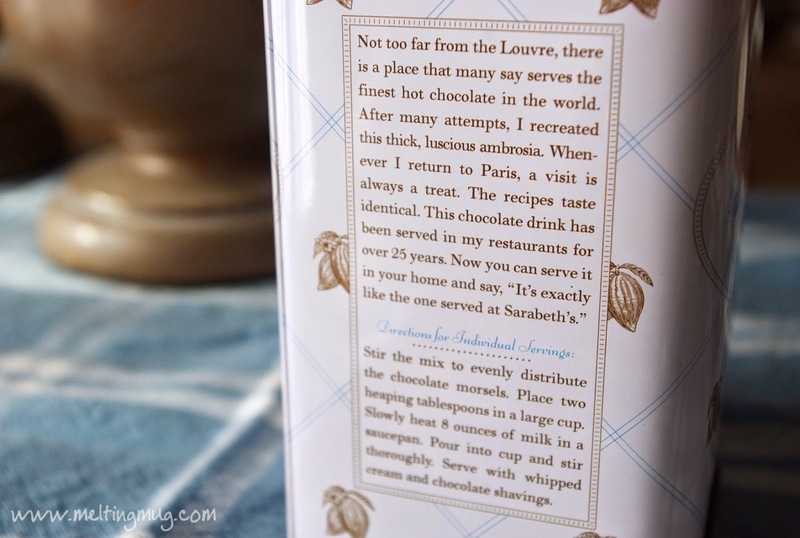 This recipe is her attempt to match the legendary drinking chocolate of Angelina in Paris. I've been to Angelina, and I think she's done a pretty good job. Although, to be fair, nothing can replicate the experience of being in Paris, in Angelina, with the amazing ambiance of that gorgeous, classic tearoom. 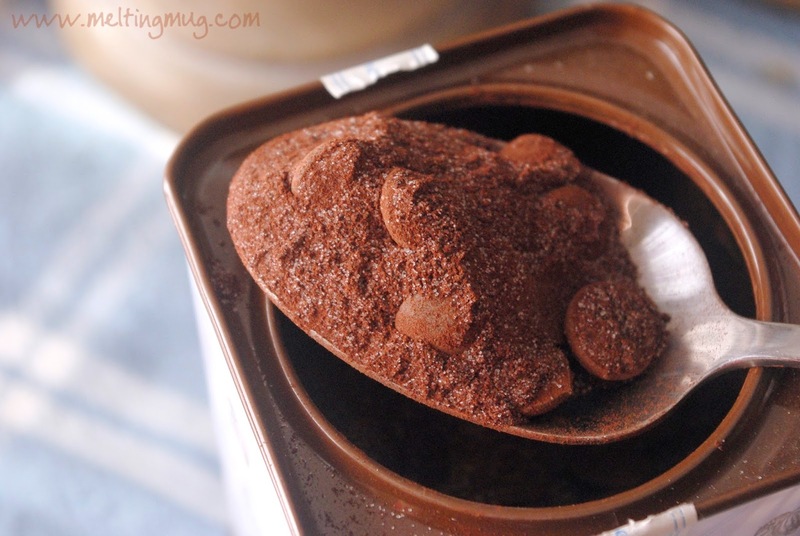 The mix contains both cocoa powder and chocolate, which is a combination I love. This gives it the creaminess and extra flavor of real chocolate (because real chocolate includes the cocoa butter, which is basically fat), while also delivering the strong dark intensity of the cocoa powder (which has the cocoa butter removed). There is no indication on the tin or their website revealing where they source their chocolate from, just "Semisweet Belgian chocolate bits" listed in the ingredients. This doesn't mean much, honestly. Semisweet is very vague nowadays, with more and more chocolate manufacturers putting the actual percentage of cocoa mass on the labels of their products. Semisweet simply means slightly more cocoa than milk chocolate. 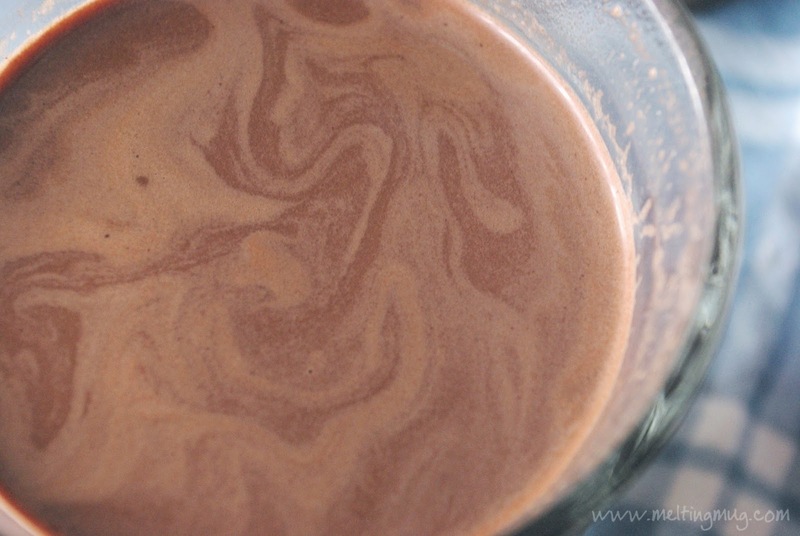 Milk chocolate can range in cocoa content anywhere from 10% and up. Bittersweet also means somewhere floating between milk and dark chocolate, so it really doesn't mean anything different from semisweet. These terms are pretty useless, in my opinion. Compared to many of the other drinking chocolates I've reviewed, this one tastes a bit more towards milk chocolate rather than dark. Very tasty and sweet. Adding a bit more of the mix can really intensify it, though, if you'd like a bit more of a dark chocolate flavor. You can definitely taste the quality chocolates in it. It melts smooth, smells marvelous, and is not very complex. Just a great, rich chocolate flavor, not too dark or strong, begging to be topped with your favorite whipped cream or marshmallows. 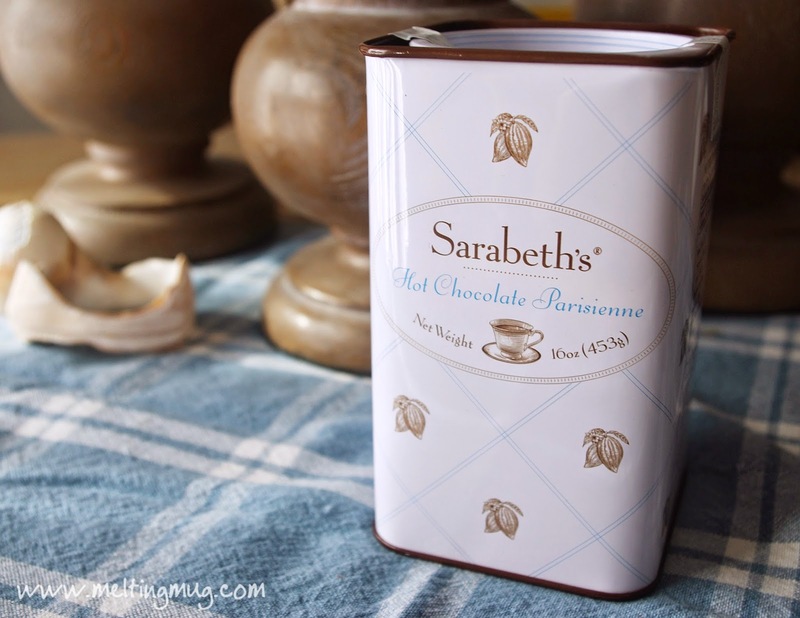 You can also pick up this great hot chocolate over at Amazon. 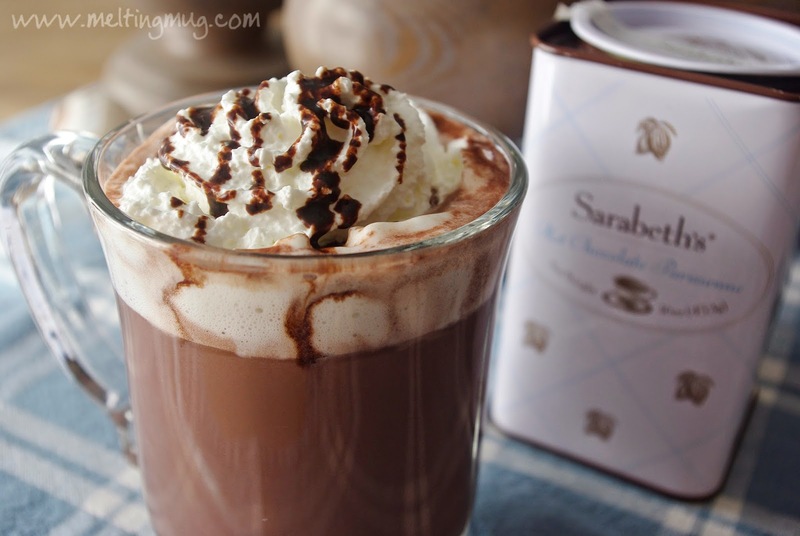 It's definitely a great all-around hot chocolate. It's good for mornings or midday, when you may want a lighter flavor, yet it could also be strengthened up for a great after dinner drink by adding an extra tablespoon or two of the mix. Has anyone been to one of their stores in New York? I'd love to hear about it!